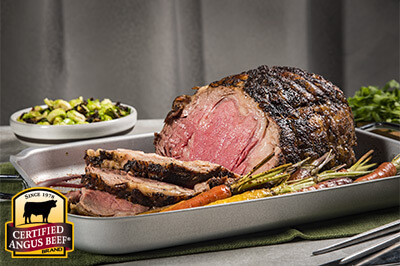 A rib roast without the bones. 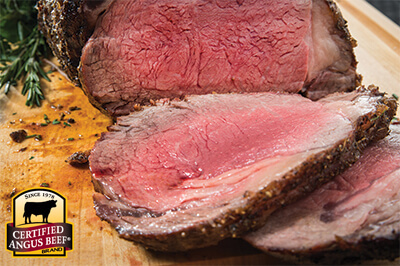 Rich, beefy flavor; juicy and tender with generous marbling throughout. 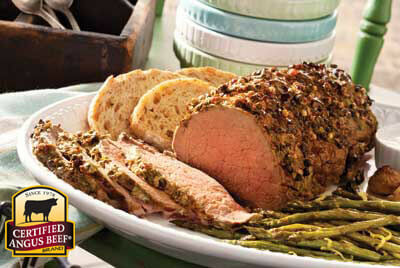 Prime rib is extra special with infused flavors of pepper and herbs. Impress your family and friends with this recipe. Combine pepper, salt, garlic, cornstarch and dried herbs. 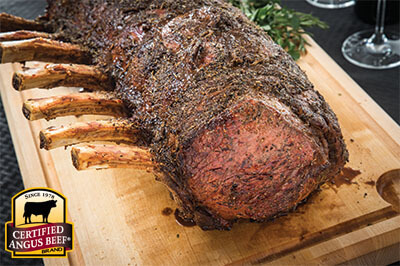 Tie the prime rib roast every 1 1/2 to 2 inches with butcher’s twine. Rub the entire roast with seasoning blend and refrigerate overnight, wrapped tightly in plastic wrap on a sheet pan.